According to Spanish Newspaper, Sport, PSG are prepared to trigger Antoine Griezmann’s £89 million release clause, in a bid to replace Zlatan Ibrahimović, who left for Manchester United on a free last summer. PSG were heavily linked with Barcelona’s Neymar last summer, with French newspaper, L’Equipe, reporting that the club had agreed to pay the Brazilian’s £170 million release clause. However, a move never fell through, because the player demanded the club to also settle his £40 million debt, in addition to paying him an annual salary of £40 million. The French Champions are believed to be desperate for a big-name signing, and after having lost out on Neymar during the past summer, they have now identified a new target. PSG are now interested in bringing Antoine Griezmann to the French capital, even if it means paying his massive £89 million release clause. Griezmann has scored 7 goals for club and country this season, and was named La Liga Player of the Year for the 2015/16 season, beating the likes of Lionel Messi and Cristiano Ronaldo. Last season, the Frenchman guided his club to the UEFA Champions League final, and also helped his nation reach the final of the Euro 2016. Despite losing on both occasions, his sheer determination earned him massive respect from the fans. Manchester United have also been linked with the player, although it is unlikely that Jose Mourinho would sanction another world-record move so soon. The Red Devils seem to be struggling this season, despite boasting a squad scattered with world-class names like Paul Pogba, Wayne Rooney, and Zlatan Ibrahimović. Antoine Griezmann would certainly help Manchester United, as Jose Mourinho’s only main striker at the moment is Zlatan Ibrahimović, as Wayne Rooney continues his time on the sidelines. 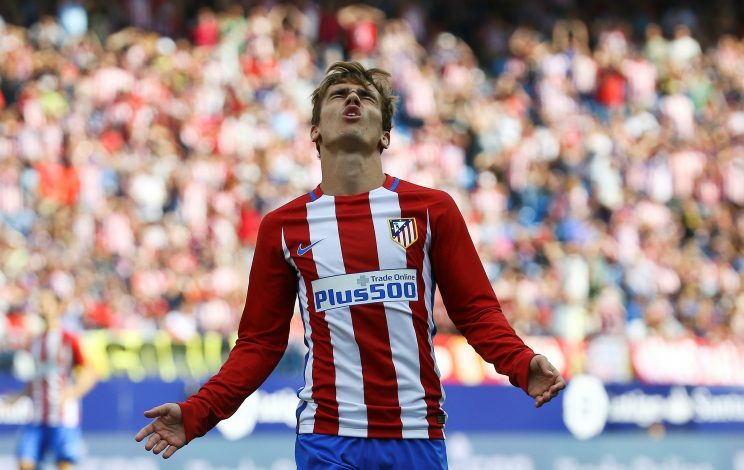 Manchester City and Juventus are two more clubs to have also expressed their interest for Griezmann, although they will be reluctant to offer up a mega-deal for the player.